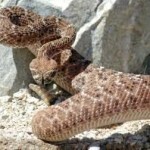 Rattle Snake Vaccines- Worth it or not? Rattle snake vaccines are available for dogs. But are they Safe? Effective? Safe? Yes. There are virtually no side effects. Rare irritation at the injection site. Effective? Honest truth: We aren’t sure. But, it’s all we’ve got besides ways to decrease our dogs’ risks. Theoretically, they make scientific sense. They work in the lab…. 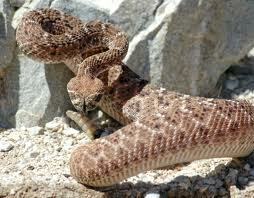 Rattlesnake vaccines work by inducing antibody production against rattle snake venom in the dog. Each antibody produced can neutralize a unit of venom. But, each dog responds differently to the vaccine, producing its own unique amount of antibody. So there is no way to ensure that each dog vaccinated with produce enough antibody to neutralize all the venom that it receives during a bite. Also consider that snakes inject variable amounts of venom when they bite. This is based largely on when they last bit something (for food or self-protection). If they have not fed in a while (especially early in the Spring when they are just coming out of hibernation), their venom sacs will be full. That’s a lot of venom to neutralize. The vaccine is not protective against Mohave Rattle Snakes, a less common, but significant threat in Arizona. So, why isn’t it a more predictable product, you ask? Scientists can’t really inject venom in an unvaccinated dog, evaluate response, then vaccinate and re-envenomate the same dog with exactly the same amount of venom to compare responses. First, that would be pretty inhumane. Second, once a dog has been envenomated, its response to the next bite will be different regardless of being vaccinated or not. So what good is it? The vaccine will impart at least some protection against the venom. Some amount of the venom will be neutralized. That may be enough to protect a dog against pain and the most devastating effects of a bite: massive tissue loss, hemorrhage disorders and kidney failure. DOGS THAT ARE SNAKE BITTEN, vaccinated or not, NEED TO BE SEEN BY A VETERINARIAN IMMEDIATELY! Your dog is at high risk for Rattlesnake bite (lives in a desert yard, runs in washes, hunts with you). It’s the best we can do. Especially if your pet is in an outside environment for long periods of time unsupervised. A walled yard is not “safe”. Snakes can find he smallest breaches, and every wall has a gate or drainage hole. For Arizona dogs, the best time of year to get Rattlesnake vaccines is in Early March– before snakes become active after their long winter’s nap. Vaccinate again in late Summer / Fall to maintain immune boost through the active Fall months.